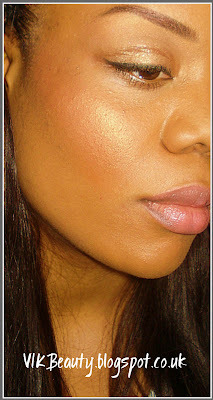 I think a blush is an essential component of any makeup bag or makeup look. It sort of gives you that "I'm alive" look (yes I did just say that). It can add warmth and a glow to your face which may be looking tired. I think if I wasn't wearing any makeup then I normally wouldn't use a blush. But if you have gone all out with the foundation or powder, your face my look extremely plain so it would definitely need a little touch of colour to your cheeks. I'm not saying that you cannot wear a blush when you dont have any foundation or powder on, but I prefer it with either on. So as you've "guessed", I do like wearing a blush when I use a foundation or powder (which is most of the time..don't judge me! :)). My favourite blushes at the moment are; "Springsheen" by MAC and "Bronze" by Fashion Fair. I normally use both at the same time, although they do look good on their own. To create the look to my left, I applied the"Bronze" across my cheekbones and then the "Springsheen" just above to highlight and add some glow to the cheeks. I find that it gives it some sort of "natural" glow. Unfortuntaely my camera doesn't really capture how nice these colours look (picture to the left). The "Bronze" isn't as dark as it appears to be and it has a pinky orange undertone and the"Springsheen" has a great sheer tone shimmer to it. I think both blushes work very well together and compliment each other. A blush should definitely blend with your skin rather than having two pink blotches on your cheeks. I used to use Chanel 'Sahara' bronzer, never tried mixing blushes and haven't worn pinks probably since I started wearing makeup1 lol But I also like and am currently using a Max Factor bronzer. It has a nice subtle bronze colour, rather than the shade of 2 bricks slabbed across your cheeks, and a really nice shimmer. Fashion Fair Blush in Warm Sand, Nars Blush in Dolce Vita and Bobbi Brown Shimmer Brick in Wild Rose. 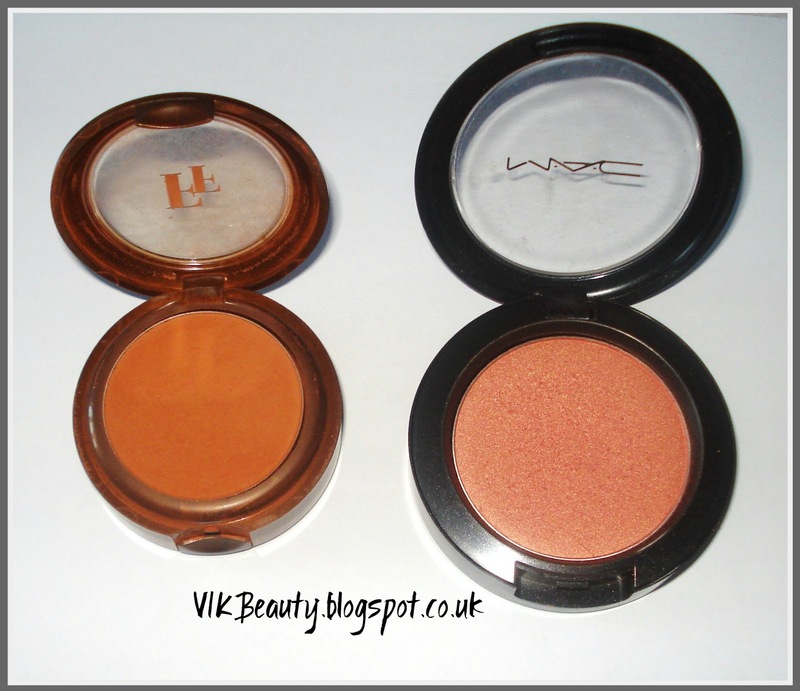 I will be buying FF blush in Golden Sunset for the summer.